Mike Flum graduated from Rice University in 2009 with degrees in Mechanical Engineering and Religious Studies. Before matriculating to Columbia to pursue his MBA, Mike spent 8 years in Midstream Oil & Gas serving as an engineer, capital project manager, and Operational VP. Mike is currently in his first year at Columbia GSB and serves as AVP of Events for the chapter. 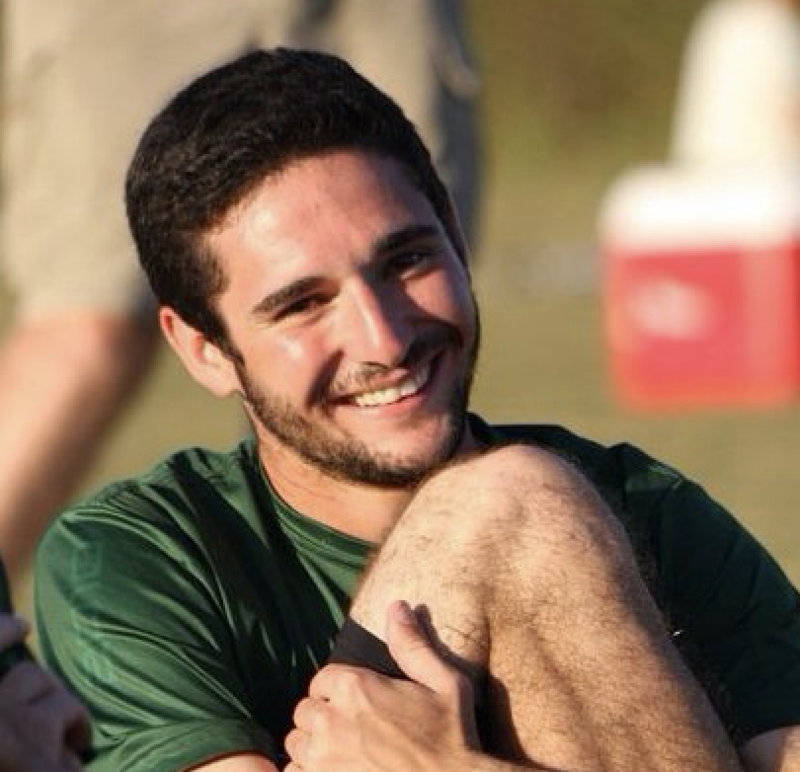 I started playing Ultimate Frisbee as a sophomore in high school and continued playing for the next 12 years. I played semi-professionally after college and eventually had to hang up my cleats due to injuries. As far as daily periodicals and blogs, I read the WSJ and generally check out Motley Fool, ZeroHedge, and Curious Cat Science and Engineering Blog for interesting bylines. When I can get my hands on it, Grant's Interest Rate Observer is also tremendously insightful. I'd focus on developing a line of consumer food products based on cricket flour. Such a vehicle would allow me to express my interest in cooking and food development while also helping to address a major food source sustainability problem. We need to supplement traditional animal proteins and cricket flour based products can deliver 10x the protein relative to other plant based products featuring soy or quinoa. Additionally, because of its consistency and mild taste, cricket flour can be used to make familiar products which should help to mollify initial resistance to eating insect protein for average customers. From a CSR perspective, cricket flour based products can deliver a low-cost, high-protein, sustainable solution and part of the business plan would need to incorporate product donation to feed the hungry both domestically and abroad. I think the opportunities to team up with food aid NGOs also presents great options for expansion. As part of our event curriculum for this past fall, we conducted a debate between Mr. Brian Riedl and Professor Randall Wray on the "Sustainability of Government Programs: What Are the Consequences and Solutions?" The debate focused predominantly on entitlement programs given their relative size in the federal spending pie. Entitlement reform is a hot-button topic for me because I don't feel that Millennials appreciate the staggering debt load that will be left to bear if we don't curb the growth of healthcare costs. I encourage anyone interested to take a look at Generational Theft: How Entitlement Spending is Stealing Opportunity from America's Youth on YouTube. Come Together by the Beatles since the invisible hand of the market can only happen when we "Come Together" and participate. While Hamilton is a close second, George Washington is still my favorite founding father because of his strategic command, conflicted feelings about serving as the first president, and commitment to staying the course with the fledgling republic despite many situations where a monarchistic response would have been much easier. I also respect the fact that he viewed political office not as a career, but as a temporary position held for the benefit of the public with the expectation of returning to private life. Setting the two-term conventional limit for presidents has had lasting effects on the United States. I'd take the "Road to Serfdom" by F.A. Hayek since I believe it's only the greatest examples of the ills of fascism and it's socioeconomic consequences. "How to Win Friends and Influence People" since Dale Carnegie's seminal text is useful for all leaders regardless of industry and its lessons help develop EQ. Finally for fiction, I'd pick "Shogun" by James Clavell since I've always been fascinated by feudal Japanese society and Bushido code plus it's length will at least help extend the enjoyment! Sous vide ribeye steaks to 133 degF finished/seared by blowtorch, roasted Brussels Sprouts with balsamic glaze, and white cheddar-Poblano mac-n-cheese (with a bit of sodium citrate added to the bechamel sauce before adding the cheese to avoid emulsification problems). I'd federally legalize marijuana because it has proven medical benefits (definitely not a Class 1 drug) and the societal costs associated with enforcement of marijuana laws are tremendous from the redirection of police, judicial, and rehabilitation resources toward non-violent offenses. The redirection of resources toward more violent offenses will yield a safer society and the reestablishment of domestic hemp production could be a boon for multiple sectors including agriculture, materials, beauty, and health/nutrition.